Simplicity never goes out of style and can never be copied, that’s the reason most popular cosmetic and beauty product brands prefer simple packaging boxes for their products over more ornate styles. 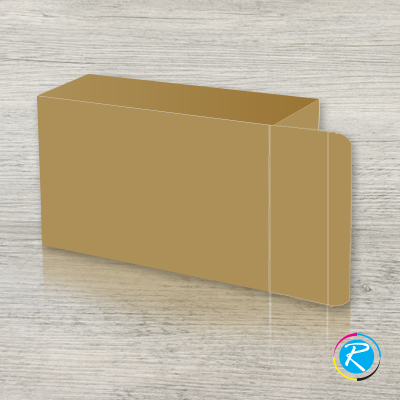 But we know, Simple yet convincing packaging boxes can only be designed and print on Kraft packaging material with the aim to secure a product and to display it as a freshly upgraded and framed. Skeptical! Are we? Well consider organic product packaging boxes around you, specially bathing soap boxes, they are mostly made from Kraft paper and you know they are real deal to educate the buyer at a first glance. If you own a product oriented business and looking to get a different packaging box inspiration, you should really consider to get designed done over Kraft material for your boxes. Why? Kraft Packaging material can work wonder for your product display. These printed boxes are easily can be made into any custom size, shapes and style. Kraft stock makes them ecofriendly and attractive naturally, so you don’t need to pay high. With multicolor ink printing and Hot UV options help us to make them natural attractive which results into making your product packaging stand out in display rack. They are available for packaging as well as unique gift boxes. Kraft packaging boxes usually come in natural brown colors but many online painters like RegaloPrint excels at providing a more luxurious service i.e. black Kraft packaging boxes with spot UV. These packaging boxes too are made of Kraft paper but they are more luxurious because of their lush black color, finer quality and style appeal. These black Kraft boxes of decorative shipping and packaging boxes are perfect for designer labels and other luxury products where we need to show the real feel of inner product. They have the classic, dark charisma to showcase the product’s standard beforehand. Finished with spot UV, these custom manufactured Kraft boxes bespoke a new level of class and elegance. 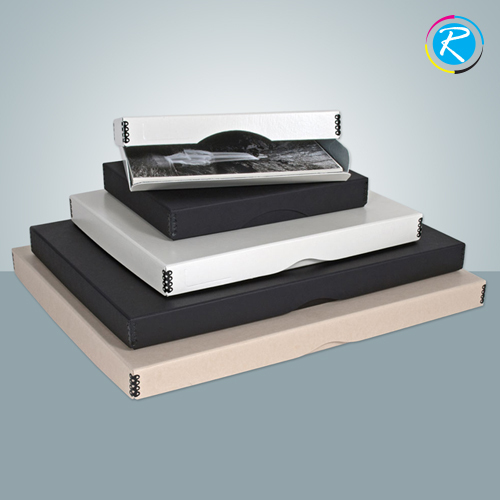 These boxes can be made into different designs and customized for various product. But it’s a promise that your customers will never question you about the quality of product encased in this beautiful wrapping. And if you are looking for a packaging vendor online, you have come to the right place. RegaloPrint is a prominent online printing and packaging service provider that gained its reputation for delivering quality services at low prices. 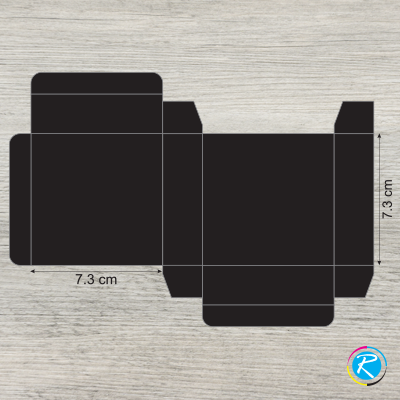 You can contact RegaloPrint now for a cost efficient deal on these amazing boxes to inspire new customers and charm existing ones. 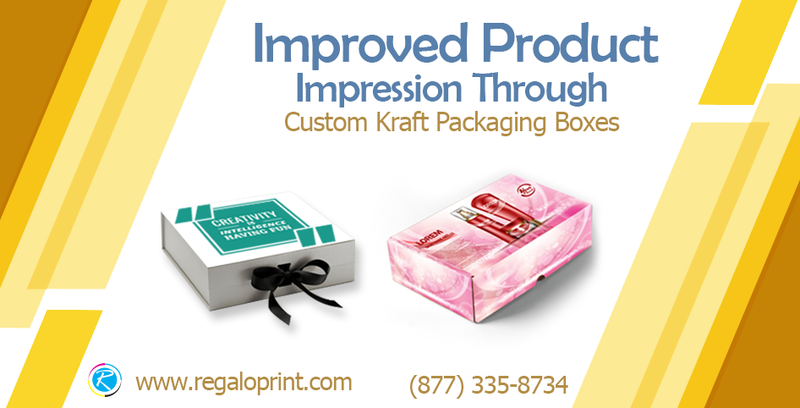 When it comes to Kraft packaging boxes, RegaloPrint has experience of nearly a decade of producing reliable packaging boxes for all sorts of product based business incorporating all industrial specifications. Our box library has hundreds of shapes and designs for you to choose from. We can produce boxes on demand within six business days. We can even print your logos and product info on your Kraft packaging boxes in unique patterns and vibrant colors. 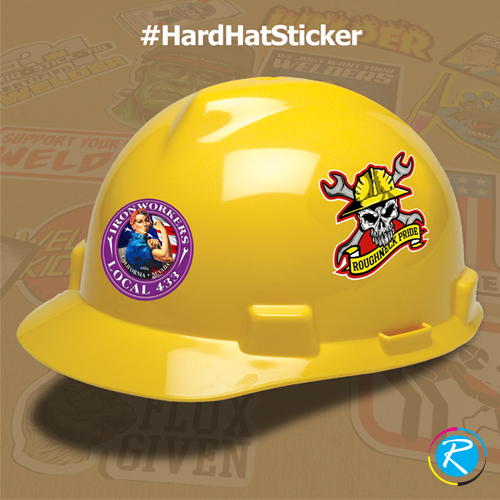 You can request mockups beforehand to be sure of our product quality. 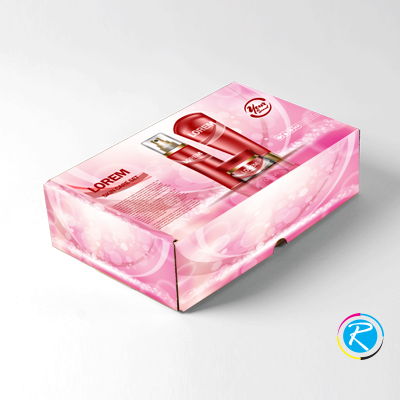 We use innovative digital and offset printing techniques for enhanced printing of Kraft boxes. When our clients are from eatery, beverage or hospitality industry, we make certain that their Kraft boxes are hygienic and odor free. After the boxes are made, our quality assurance teams run manual tests on each box for error free order production and delivery. Your boxes will reach your doorstep, ready to be quickly assembled for their next destination.